Indian activist Ramesh Agrawal, who has been fighting the powerful coal-mining and power generation lobby in Chhattisgarh for the past few years, has won the prestigious award for grassroots activism in the field of environment—the Goldman Environmental Prize, often called the “Green Nobel”. He used Right To Information to organise people and fight a legal battle against coal and power major, Jindal Steel & Power Ltd (JSPL), to prevent it from opening a second coal mine near the village of Gare in Chhattisgarh and setting up a power plant in Raigarh district. “This award is a recognition of the collective struggle of people in Chhattisgarh who have stood their ground to save their environment from rampant industrialisation,” 58-year-old Agrawal told Down to Earth from San Franscisco, US. “It is the people who supported this movement with whatever little they could offer to fight cases in courts against big corporations, which has borne fruit today,” the 58-year-old activist said. He said he is planning to take his Jan Chetna (people's awareness) movement beyond Chattisgarh to parts of Odisha, Jharkhand and Madhya Pradesh. According to a statement published by Goldman fund, recognising Agrawal’s groundbreaking work, he took on big corporations such as JSPL, which has mining and steel concerns in Chhattisgarh. “Burning more than 4 million tonnes of coal a year, the [JSPL] mine would be among the biggest of its kind in Chhattisgarh. Starting in 2008, Agrawal organised residents to voice their opposition and filed numerous petitions highlighting JSPL’s failure to hold mandatory public meetings and obtain environmental clearance for the project,” the statement said. Agrawal was frequently attacked for his activism. On May 28, 2011, acting on a complaint of JSPL, the Chattisgarh police arrested Agrawal despite his ill health and chained him to the hospital bed. The JSPL complaint accused Agrawal of extortion, defamation and false statements. The complaint was made after Agrawal, armed with a series of RTI replies, wrote to the then minister of environment and forests, Jairam Ramesh, informing him about excesses committed by JSPL while acquiring land from the adivasi communities for its proposed power plant in Raigarh. The minister, acting on Agarwal’s letter, cancelled the clearance given to JSPL for its power plant. A year later, in 2012, two youngsters walked into Agrawal's Internet café and shot him in the leg, shattering his bone. This attack followed an order of the National Green Tribunal (NGT) on Agawal's complaint that accused JSPL of violating the terms of conditions for its mines in Raigarh. In April 2012, NGT revoked the permits required for the mine to break ground. Agrawal underwent multiple operations in Mumbai, and was soon back on his feet to continue his work. He still faces difficulty in walking with six metal rods inserted through his thigh. After the shooting incident, Agrawal issued a statement, accusing JSPL of being directly involved in the attack. Investigation by Chattisgarh police after demands from environmental activists and locals revealed that two security personnel engaged by JSPL were involved in the attack. The two guards were arrested. JSPL has, meanwhile, approached Supreme Court against the NGT order. Agrawal says that he is prepared to fight the company till the end. JSPL, while speaking to a foreign publications, maintains that Agrawal’s claims are false. “Our struggle against JSPL and other companies are still going on. There is a big question environmental degradation that we have raised in this case. 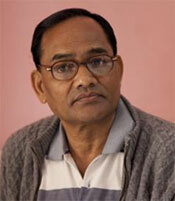 We will ensure that the court rules in peoples’ favour,” said Agrawal. The Jan Chetna movement started by Agrawal has spread to several parts of Chattisgarh. Agrawal has been aiding several government officials and local police to resolve disputes between families on issues related to land by providing legal help and educating people, including adivasi communities, about their rights. Agrawal is being honoured along activists from other continents. They are: Peru’s Ruth Buendia who fought against the construction of two dams in the Peruvian Amazon, Russian zoologist Suren Gazaryan for defending protected areas from Olympic development in Sochi, Helen Slottje for helping shut down fracking in New York state, South Africa’s Desmond D’Sa for closing a toxic dump site in Durban and Indonesian biologist Rudi Putra for shutting illegal palm oil plantations in Sumatra. Can you please pass on the number to me as well ? I am pursuing my education in environmental field so want to take his advice.